Maybe you've heard of this Creole word. It comes from the French words "reste avec" which means "one who stays with". Doesn't sound so bad does it? You can read the whole article and if you're brave google "Restavek haiti" and read some of the horrific stories. These are children. I know several of them. Some only 5 years old. Last week I met one who is 6 years old. I flew out to a remote place in Haiti and brought a little girl who I later learned is one of these slave children. Her story is hers. I don't feel right telling it on my blog to the world. I don't even know the full story but what I do know is enough to give me a sick feeling in my stomach. 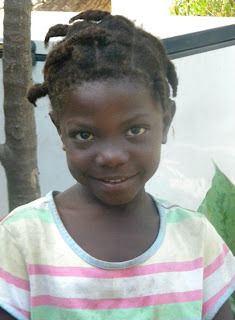 Briefly- I helped Medi-vac her to Port au Prince 2 Thursdays ago. She was admitted to a hospital and had surgery Wednesday. Released from the hospital yesterday. She is recovering well at my house surrounded by Barbies, Dora videos and new Croc shoes. 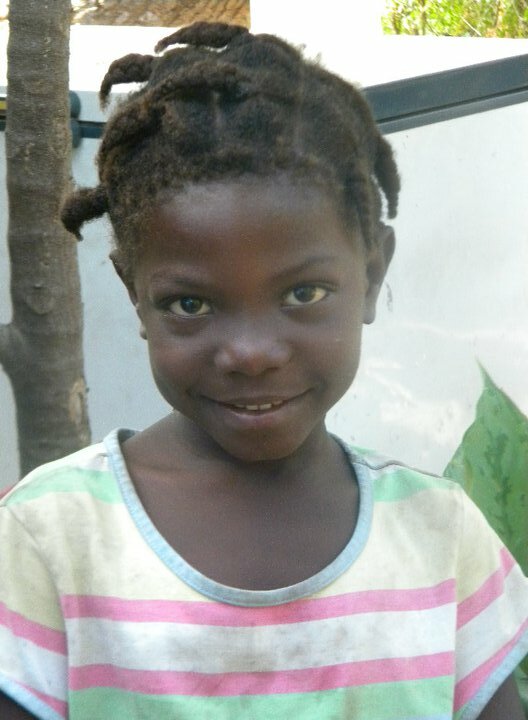 Sandra is a Spunky, stong-willed, bright eyed little girl-who for the first time in her life is getting to be a little girl. She is no longer a slave child to a family-treated as property. No more carrying huge amounts of water, doing the family's laundry and not allowed to go to school. How in the year 2011 does a country so close to the United States have child slavery? I don't know but today there is one less. And I got to witness it! Thanks so much for your support of my ministry in Haiti. I can't report big numbers like some missions do. But I can tell you about Sandra and the difference we (you and I) have made in her life. Who knows the plans the Lord has for her life. "I say this because I know what I am planning for you," says the Lord. "I have good plans for you, not plans to hurt you. I will give you hope and a good future." Wonderful news for this little girl.Thank God for using you in such a great way.Praying for you! I have no words, only tears... You are heading the call of Proverbs 31: 8-9 - Speak up for those who cannot speak for themselves; ensure justice for those being crushed. Yes, speak up for the poor and helpless, and see that they get justice.